Phytos Apothecary and Wellness Centre alleges that the current system creates “significant and undue burdens” for thousands of sick Canadians trying to get reasonable access to the drug of their choice. An illegal cannabis dispensary in Toronto has filed a suit in Federal Court to enshrine its right to sell the drug to its patients, alleging Canada's current mail-order medical marijuana system does not provide reasonable access to pot. Phytos Apothecary and Wellness Centre alleges that, despite a Federal Court ruling last year overturning the medical marijuana rules to allow patients to grow cannabis at home, the current system still creates "significant and undue burdens" for thousands of sick Canadians trying to get reasonable access to the drug of their choice. The statement of claim, filed Feb. 6 in Vancouver, alleges that patients are turning to the hundreds of illegal dispensaries popping up across the country because the legal system makes it too hard for them to find appropriate doses or forms of cannabis products at an affordable price. Under the current system, it is also hard for many people to find a doctor willing to prescribe the drug or, if they want to grow their own cannabis, go through the "onerous application process and comply with stringent conditions that are neither necessary nor reasonable," the lawsuit alleges. 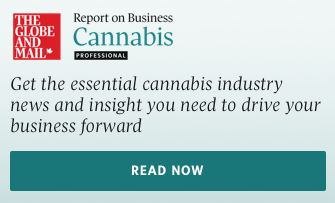 Phytos would apply to produce and sell cannabis to patients under the current medical pot rules, the suit states, but that licensing process takes years, "requires the expenditure of at least hundreds of thousands of dollars, and more likely millions of dollars, and contains internal barriers that are simply not able to be overcome by most applicants or would-be applicants." The dispensary, which has one Toronto location that serves hundreds of members, is asking the court to exempt it from federal drug laws and throw out the rules of the current medical-marijuana system so that it can provide patients with reasonable access to medical pot. Since the federal Liberals swept to power in the 2015 election promising to legalize recreational marijuana, hundreds of illegal dispensaries have opened across the country, spreading from a hub of roughly 100 in Vancouver to Toronto and cities further east. Vancouver's approach of regulating – not raiding – its dispensaries stands in stark contrast to Toronto, where police and politicians say a continuing crackdown has become more urgent as these pot shops have become a magnet for violent thieves because some owners are reluctant to report robberies. Civic and provincial politicians are waiting on the coming legalization bill to give some guidance as to where the drug may be sold once it is legalized. In the meantime, Kirk Tousaw, the B.C.-based lawyer who won the Federal Court case last year and is now representing Phytos, says the courts must enshrine the right of Canadians to access face-to-face sales of medical marijuana. "The aggregate cost to the taxpayer of these [dispensary] raids is in the multiple millions of dollars," Mr. Tousaw told The Globe and Mail on Wednesday. "Patients continue to have incredible difficulties accessing cannabis lawfully through the federal model." He said he does not know whether a judge will postpone hearing the case until the government crafts new rules for medical and recreational cannabis, but that legislation should not affect this challenge. "It's absolutely critical that patients get taken care of, whatever legalization looks like," Mr. Tousaw said. He said he is hoping this new lawsuit will be able to piggyback on last year's successful challenge because both argue that Ottawa's medical cannabis rules effectively force some patients to choose between their medicine and prison. The federal government asked for a 15-day extension to file its statement of defence in this case and now has close to a month left to respond to Phytos, Mr. Tousaw said. Health Minister Jane Philpott would not comment on the legal challenge, but her spokesperson said the current medical marijuana system will be assessed to ensure it does provide access to patients while protecting the public and keeping the drug away from children. Health Canada would not comment on the case, as it is before the courts. A spokesperson said that the department, which is currently under fire from patients for letting licensed growers use banned pesticides, addressed the issue of reasonable access to cannabis after losing last year's court case. "Health Canada's position on dispensaries has been consistent: These facilities are unlicensed by the federal government, illegally supplied, and sell products that may be contaminated or otherwise unsafe," Suzane Aboueid said in an e-mailed statement.